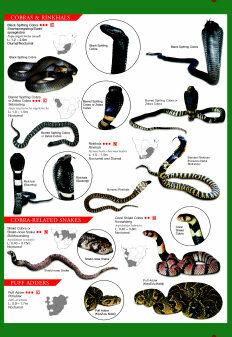 The Identification Guide very accurately illustrates 44 species of snakes, names the venom classification for each species of venomous snake, and provides vital snake bite first aid information. 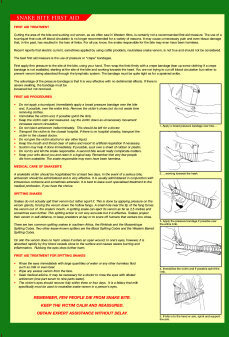 The compact folded dimensions of the ID Guide (298 mm x 238 mm 11.7” x 9.6”) make it easily portable in all situations. 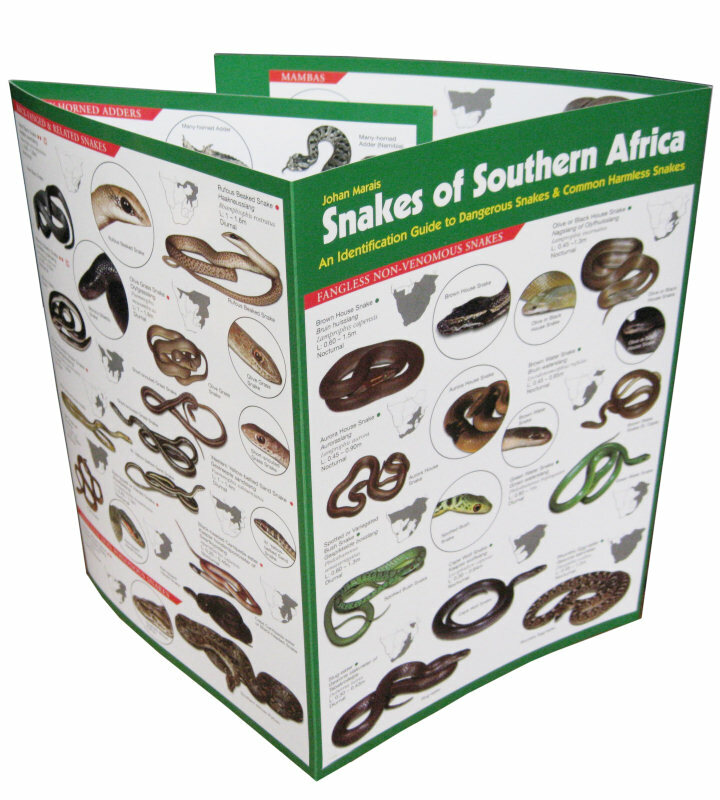 If you spend time out of doors in Southern Africa in less populated areas such as mountains, forests, thickly vegetated coastal areas etc you are probably aware of the possibility of snake bite. 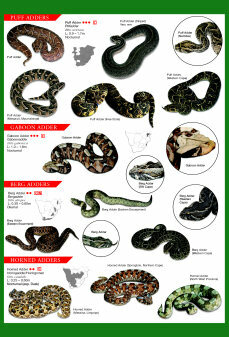 Most people who are bitten by snakes recover fully, but in the treatment process it greatly helps to be able to quickly identify the snake species responsible for the bite so that appropriate anti-venom treatment can be administered without unnecessary delay. 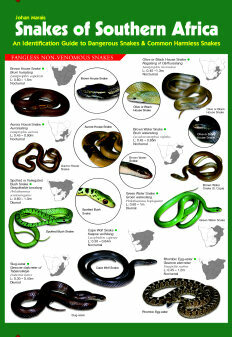 Snake venom falls into three main classifications, CYTOTOXIC, NEUROTOXIC and HAEMOTOXIC. 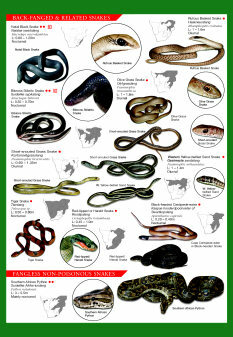 As snake bite treatment is venom-type specific it is important for the doctor or medical expert who will treat the bite to know which snake species was involved. 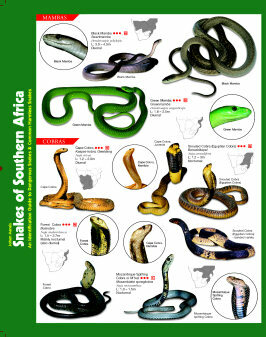 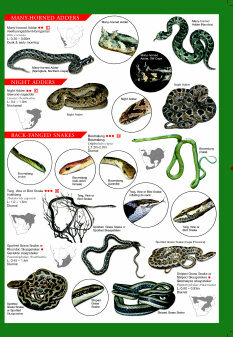 In practice a quick identification guide such as the Korck Publishing Johan Marais Identification Guide to Dangerous Snakes and Common Harmless Snakes of Southern Africa can help to provide this information if the victim of the snake bite saw the snake and can make a visual identification.